Quick summary: In this activity, children explore the ways seeds grow in fruits and vegetables. Children observe and compare a range of fruits and vegetables based on weight, colour, size, texture and smell, and will look for the seeds in these fruits and vegetables. 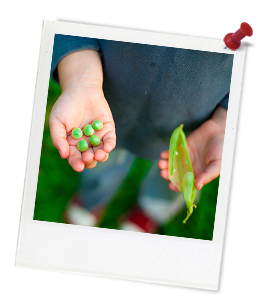 Older children will also explore a broader range of seeds through the use of flashcards. At the end of the activity, children can create salads or soup out of the fruit to share. 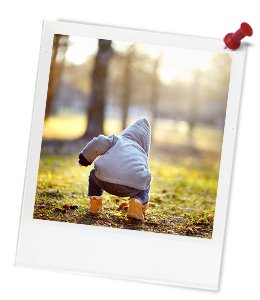 This activity is designed to help connect children to the wonders of the natural world through sensory and play-based learning. Collect a range of fresh fruits and vegetables. Where possible collect two of each fruit and vegetable and cut one open to expose the seeds and leave the other one uncut. Consider collecting some of the following: orange, apple, strawberry, kiwi fruit, watermelon (with pips), grapes (with pips), stone fruit, pumpkin, capsicum, cucumber, potato, tomato. Print the Different types of seeds flashcards and stick the provocations to the back of each corresponding image. Learning goals: The aim of this activity is to get children thinking about the diversity of seeds in our fruit and vegetables. Children will observe and compare a range of fruits and vegetables based on weight, colour, size, texture and smell, and will look for the seeds in these fruits and vegetables. Older children will also explore a broader range of seeds through the use of flashcards. At the end of the activity, children can create salads out of the fruit and vegetables to share.